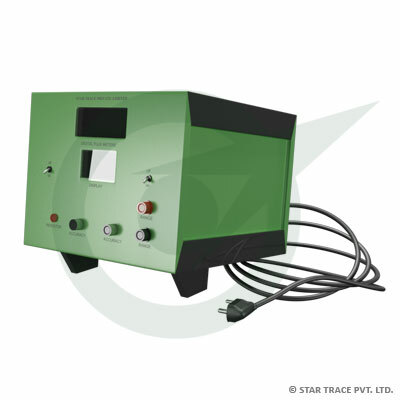 Star Trace Pvt. Ltd. are well-established manufacturer & supplier of unbeatable quality Digital Flux Meter. These Digital Flux Meters are made from superior quality raw materials to ensure quality of products. Our Digital Flux Meter are sent for quality test before supplying and exporting to the customers, which ensure customers satisfaction. Model STFM-110 Digital Flux Meter measures magnetic flux cut. A search coil is widely used for general magnetic measurements such as magnetizing force of permanent magnets. Flux of magnetic circuits is used in various types of electrical equipments like stay flux detection end voltage integration. Application of Flux Meter is Measuring D.C. Magnetic fields. Ferro detections, Field surveyors, Production at System and Hysteresis loop tracer. Special Digital Flux Meter can be made on request, Please send us their technical data and application, required for our engineers to provide.